Burton’s book is more about culture shock (living and working in the Middle East) than about what he did in his job in Abu Dhabi (built a high-end marina.) Most intersting to me was his light hearted commentary about how low-skill level ex pats (e.g., Pakistani’s, Filipino’s) manage to get sometimes quite complicated construction tasks done. Not always safely–but done. 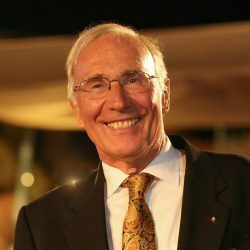 Burton also focuses on how quickly major project constrution can move in a situation where money is no object and there are few rules and regulations to impede progress. This book is a good, fast read for anyone with an interest in large scale construction, yachting, or living and working in the oil rich middle east. After spending some time in Abu Dhabi and becoming fascinated with its history, I bought this book specifically hoping to find out some detailed information about the development of Yas Island (where I had only shopped for IKEA furniture) and its various prestige projects. The author was hired as an expert in marina development and spent about three years in the emirate (2007-2009), so I expected to learn a lot. What I found was a chatty account of the expat experience, entertaining enough but somewhat short on substance. Very few names (of companies and individuals behind these projects) are named. Who are the real movers and shakers in this country? 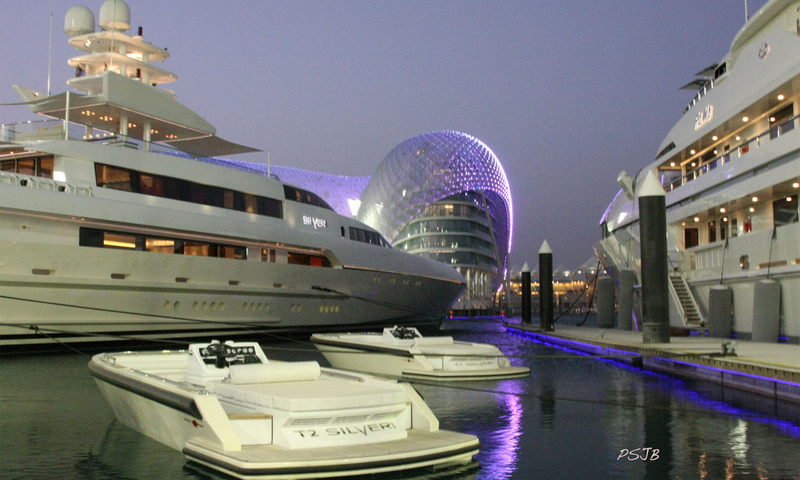 Who came up with the concept of multiple luxury marinas on a tiny, man-made island? Having read the opening line in the blurb on the back cover, “When author Steve Burton heard the plan for transforming a relatively untouched bird sanctuary in the Middle Eastern emirate of Abu Dhabi into a complex, global entertainment and premier yachting destination…,” I kept wondering why “the bird sanctuary” and its fate were never once mentioned in the book. (“What happened to the biiiirds?? ?”) The apparent answer is that whoever wrote the blurb must have confused the artificial environment of Yas Island, which is so well connected with Abu Dhabi City as to have become part of it, with the nature area on Sir Bani Yas Island, 110 miles southwest of the capital. 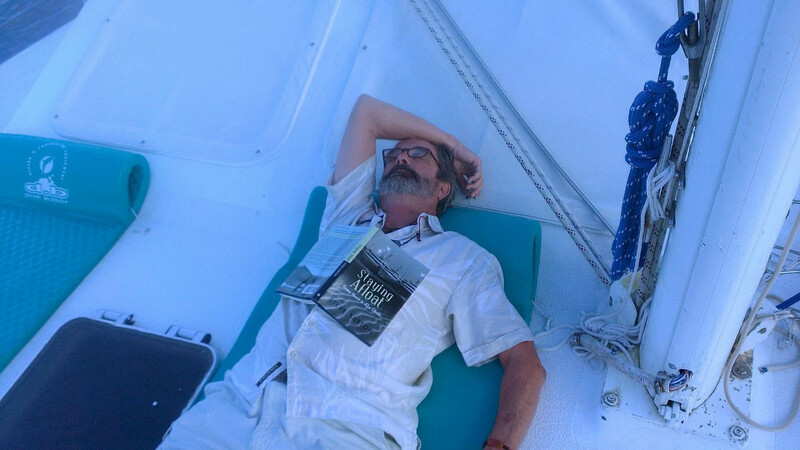 The most interesting chapter to me was probably Part 10, where the author looks back on the effects of the global economical crisis of 2008 (which hit the emirates only in 2009) and contemplates, among other things, the feasibility of the emirate’s nautical ambitions given its geographical location. The lesson: sometimes even unlimited resources are not enough to guarantee success. The book is well written and entertaining. It’s mostly positive about life in Abu Dhabi as an American expatriate couple, but the author does address racial/ethnic prejudices and social strata. The Kindle version was perfect to read during the 13.5 hour flight to Abu Dhabi! Very good book. Well worth a read if you are interested in how Abu Dhabi has changed. I’d recommend this book to any one living and working here. 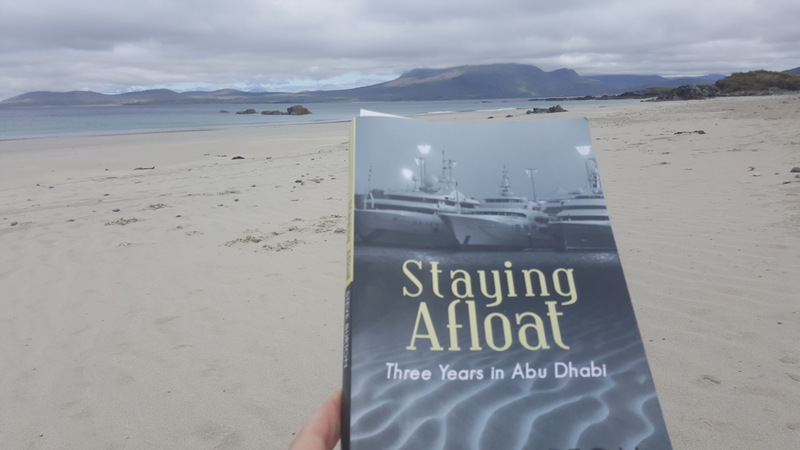 I enjoyed reading Staying Afloat, Three Years in Abu Dhabi. The book gave me information about the culture there. My daughter and husband visited Steve and Pam Burton in Dubai, so I had a special tie to the Burtons’ stay there. I liked the touches of humor, and the book brought home how strange it must be to live in a foreign country. A fun, exciting and often emotional read, with incredible insight as to the rich cultural intricacies of the Emirati people, from the working class all the way to the top “Royals” and heads of state! Mr. Burton shed new light on a sector of the Middle East that clearly doesn’t deserve to be lumped in with other less secure, generous and open-minded people. 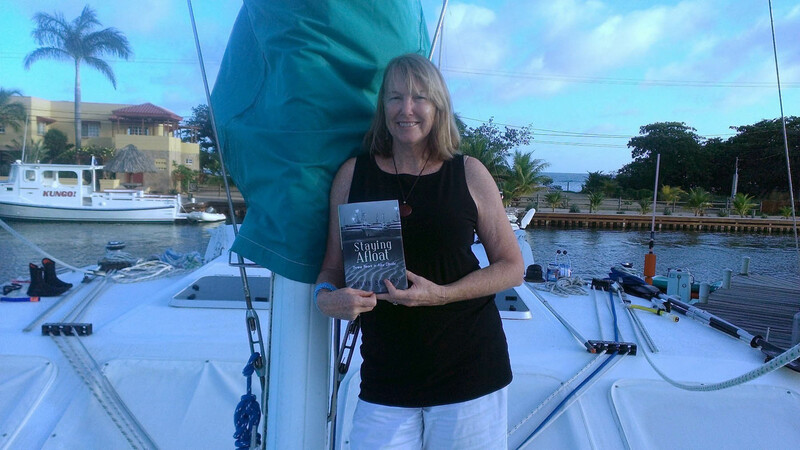 Having visited AD for short stays it was fun to read about long term living as an expat. I enjoyed this book as much as those of Frances Mayes.